Marinate your shrimp for 20-30 minutes in Tupat’s Hawaiian Poke Sauce. In a pan place a bit of olive oil and fresh minced garlic. Let the garlic and olive oil heat up and mix together. Then add some green scallion and white onion to your Olive Oil. After a few minutes, add your shrimp and cook until done (3-4 minutes). 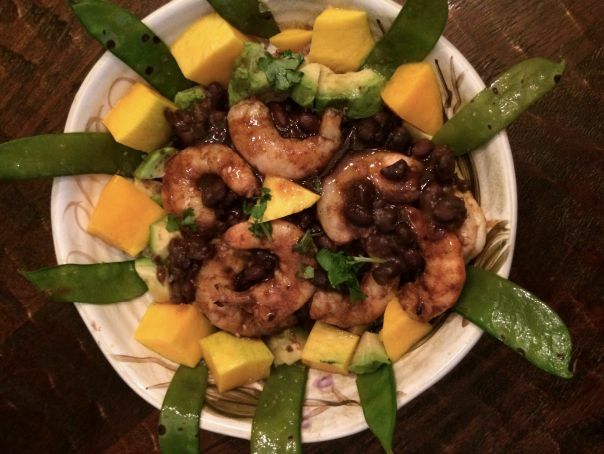 Add your shrimp to a bed of white rice and serve with a fresh garden salad.